In 2014, The Guardian readers voted Newcastle best city-break destination. I had 24 hours in Newcastle to find out why, but with so much to explore, would 24 hours in Newcastle be enough? That was without counting with the fact that the Newcastle area is not just Newcastle. It takes in Newcastle and Gateshead too, think Buda-Pest, two towns north and south of the Tyne, stitched together by seven bridges. In addition, you shouldn’t miss a trip to their neighbouring seaside villages. Rule number 1: Book a room with a view, the town is beautiful at night and you will want to make the most of its urban scenery. We stayed at The Newcastle Gateshead Hilton, built by the Tyne on elevated grounds, this hotel offers some spectacular views. 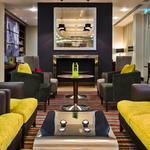 Rule number 2: booking in advance is essential, Newcastle is a party-city, the third-most popular nightlife destination in Europe behind London and Berlin. It’s a shopping Mecca, ferries arrive into nearby North Shields port every day from Holland, full of day-trip shoppers. It’s also an art hub and a pull for music lovers. Not mentioning the football. It can get very busy, indeed. Start with a stroll along the Quayside to take in the seven bridges and the super trendy craft beer pub walk. 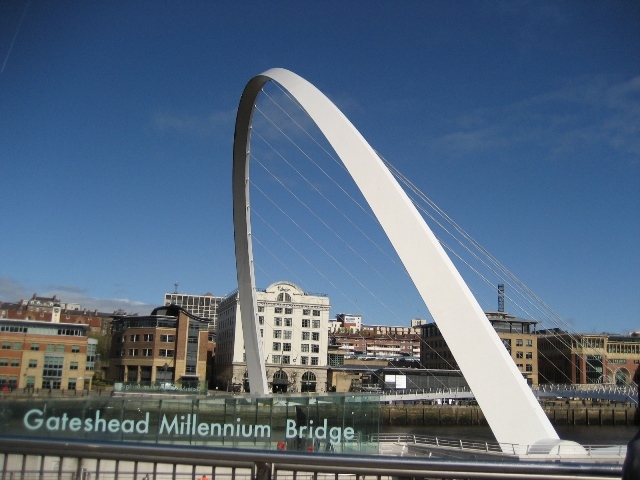 The newest bridge is Gateshead Millennium bridge, which is in my opinion, the most extraordinary bridge of them all. Often referred to as the winking bridge as it tilts like a giant eyelid to let boats pass and, during the summer at fixed times for photo opportunities. As you stroll along the river banks, the first impression is one of successful regeneration. The Sage Gateshead is a beautiful music venue, look carefully at the glass panels on the side of the building, they represent three sails, a discreet connection with Newcastle’s shipbuilding past. 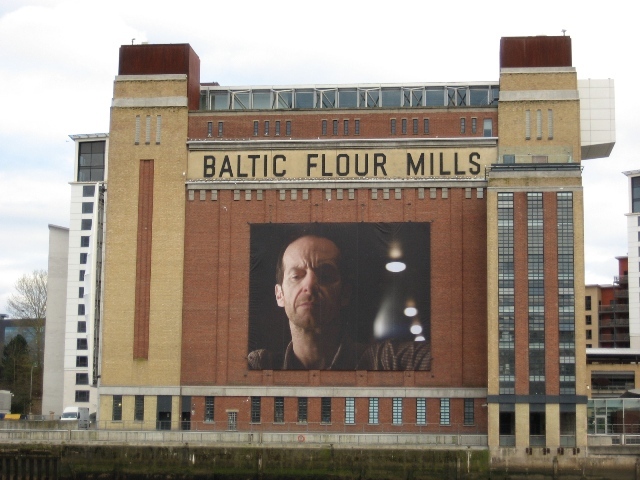 A few yards away stands the renovated BALTIC Centre for Contemporary Art. The views from the fourth floor gallery are stunning. In medieval times, Newcastle was rich thanks to its wool, leather and coal exports. Its medieval nucleus is compact and easy to visit. 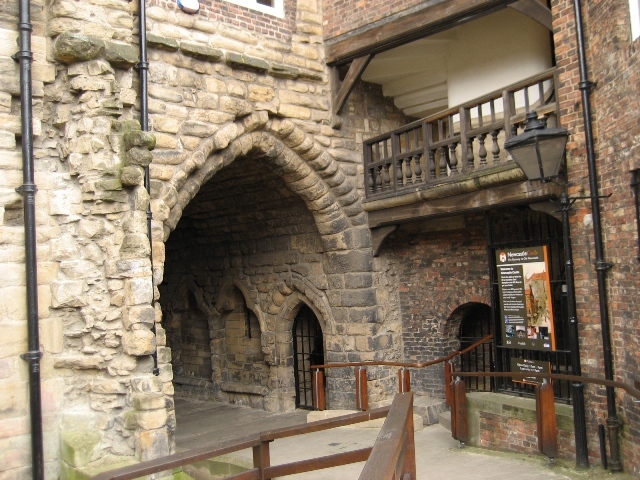 Recently, Newcastle City Council had Castle Keep and Black Gate restored. The old city is dotted with numerous seahorses, the city’s symbol, in various shapes and forms. My personal favourite building, is a lesser known attraction, Bessie Surtees’ home. In 1772 Bessie Surtees was betrothed to a noble three times her age. To escape an unwanted union, the Jacobean firecracker climbed out of the first-floor window and eloped with her beloved. John Scott was the son of coal merchant. Bessie’s father did not approve of the union, but later, John became a prominent local and national figure whose name lives on in the city today. 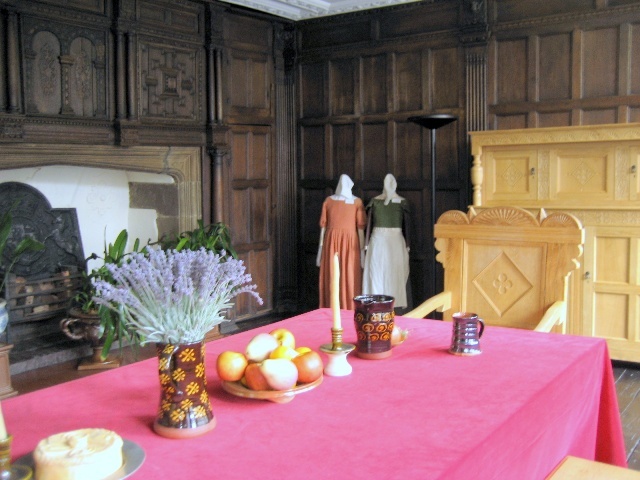 The house has splendid period carved oak panelling, an elaborate ceiling and that said window! Children will delight in the Centre for Life A life science centre full of fascinating hands on exhibitions. It’s home to a large planetarium, a 4D motion-ride and my personal favourite, a room full of fictional life-size robots. Newcastle’s association with shopping is not new. 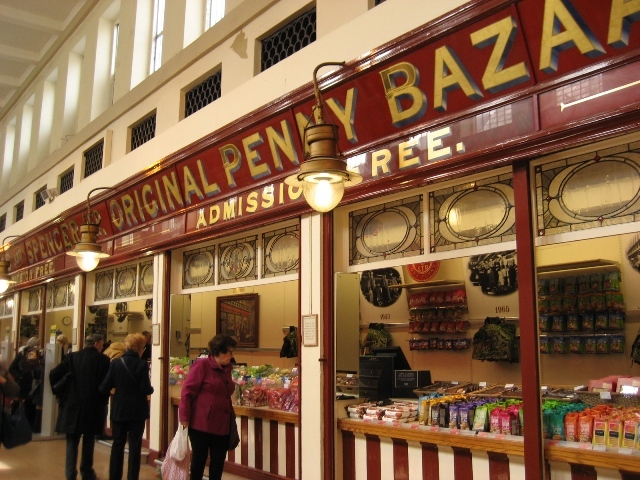 The original Fenwick, the first store of its kind, is still there, I would recommend the food hall but really the whole of the store could keep anybody busy for a day. But then 24 hours in Newcastle wouldn’t be enough, especially if you wished to visit Eldon Square shopping centre too. When it opened in 1977 Eldon Square shopping centre was the biggest indoor shopping mall in Britain. On Northumberland Street, there are many of the high street favourites, the likes of M&S, Primark, etc…, that’s without mentioning the elegant Edwardian arcade, the Central Arcade. Whilst shopping, make sure you look around to enjoy the architecture. There are no less than 244 listed classical buildings in the area and beautiful faïence tiles decorate the Central Arcade. By the look of it, there are enough places to eat and drink here to last you for a year or two. Geordies are well known for their hospitality and there’s something for everyone to enjoy. City Tavern on Northumberland Road is a compulsory stop. From its humble beginnings as a stable in 1872 the building has had many transformations.Nowadays, with its chandeliers, exposed brickwork and lines of cask ales, City Tavern is one of Newcastle’s most iconic pub venues. The food is heartwarming and so are the beers. For my last evening in this beautiful city, I headed towards Jesmond, a residential suburb on the green Metro line, for a meal at Peace and Loaf, a restaurant owned by head chef and finalist of Masterchef: the Professionals, Dave Coulson. The bare-brick restaurant with its mezzanine floor serves up to 55 diners at a time. The restaurant’s reputation is becoming legendary hence a not unexpected waiting list. The close proximity of the tables, a layout which under normal circumstances would be a little too social, but in this case actually encourages conviviality and an exchange of views about what’s on everyone’s plates. 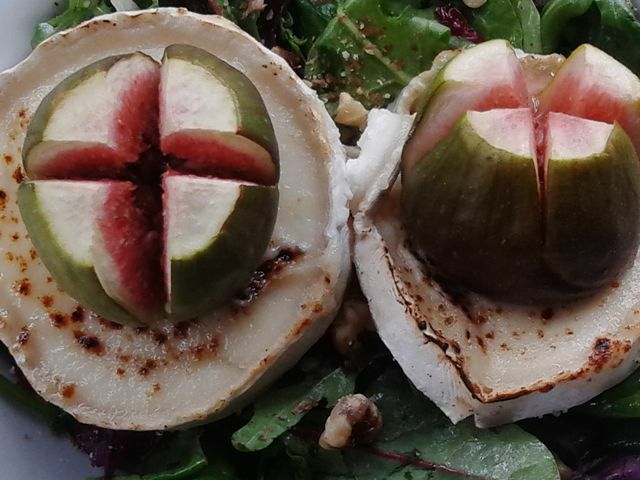 There are a lot of weird and wonderful things happening with every single dish. Chef Coulson’s food is exciting. Each plate looks like a beautiful abstract painting, a feast for the eyes. The influence is very much Northern classics with a very modern twist. Between courses, extraordinary nibbles are served. I was offered “a full English”, a miniature breakfast on a sliver of toast. The menu at Peace and Loaf is intriguing. My companion thoroughly enjoyed Dave Coulson’s signature dish: Fish, “Chicken Pie”, Mash, Mushroom. 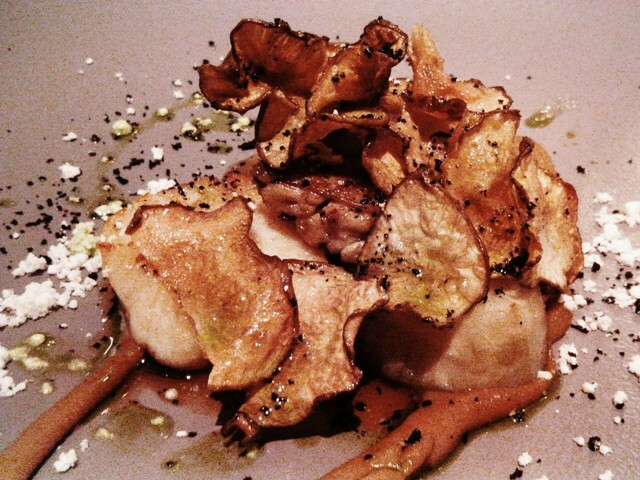 A complex dish dressed with browned garlic and fresh chilli which was served to Michel Roux Jr, during the final of MasterChef: The Professionals. 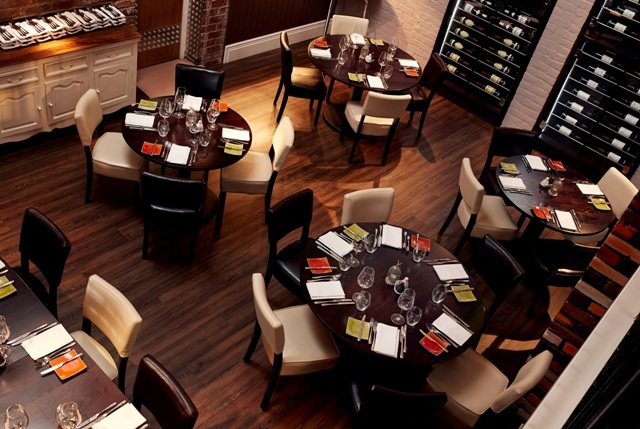 Starters and desserts start at £8.00 with main courses at £22 on average. Good value for such a unique experience. The central district is compact and walk-able. If you wanted to explore further, getting around with the fast Metro system is easy. In just over 30 minutes, you can reach the seaside and the quaint village of Tynemouth …fish and chips, anyone? Hop on the Angel Bus to visit the Angel of the North. There are direct trains from many UK cities to Newcastle Central station which is well connected by Metro. An average typical single train ticket from London stations costs £52.00. 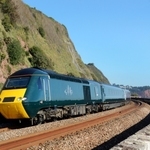 It’s worth looking into advance bookings and railcards. By air : Newcastle International Airport is only 8 miles from the city centre. It is served by national and international airlines, including European carriers such as Air France. Aer Lingus and KLM. By Ferry : The International Passenger Terminal at North Shields (8 miles from the city centre) has daily sailings to/from Amsterdam. 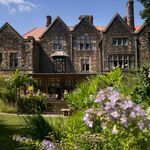 The Centre for Life offers a great day out for families with a regularly changing programme of exhibitions. 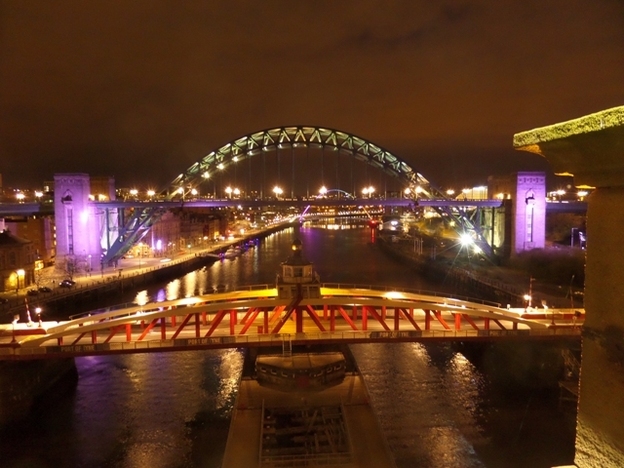 Go to the official Newcastle and Gateshead tourist board for more information on the region.